Carlsen and Associates manufactures a wide range of solutions for your fluid needs. 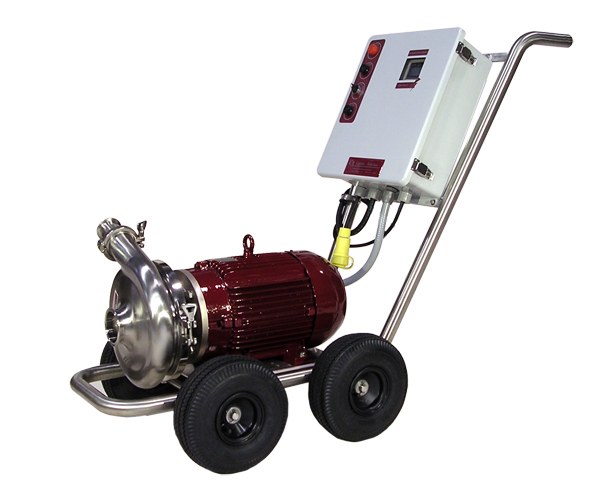 We provide efficient pump systems for the transfer of wine and must throughout the winery. You can select from three different pump families to fit your needs. Contact our sales staff to help you find the right solution. If you are bottling, pumping over or moving must, our Yamada Air Pumps, Waukesha Positive Displacement Pumps or Centrifugal Pumps have the capabilities for your needs. Waukesha Positive Displacement Pumps are your best solutions for bottling, juice transfer, pump overs, barrel work and must pumping. We offer six models for handling these tasks. The unique design of the rotary lobes and the suction that is created with this pump minimizes the destruction of solids in your juice. 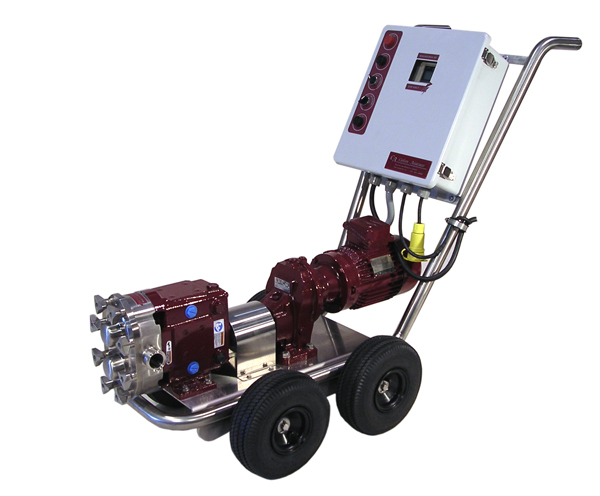 The versatility and quality of the Carlsen Waukesha Positive Displacement Pumps has made them the wine industry’s standard for all pumps. Our Waukesha Centrifugal 200 Series Pumps are mainly used in wineries for the pump over process and juice transfers. With the over-sized housing in our HV Series, or the large impeller size in the 2085 Series, the pump allows solid particles to pass without damaging their structure. In addition to the winemaking benefits, the pumps unique seal system allows for simple and carefree maintenance. Another ideal pump in our line-up. For simplicity of use and gentleness on your juice the Yamada Air Pump is another winner in the Carlsen Pump line-up. We have sold a few other air pumps over the years but upon our introduction of the Yamada Air Pump into the wine industry there has been no better. These pumps are ideal for juice pans, pump overs, topping and barrel work. Choose from five different models to fulfill your needs.